Last updated on April 18 2016. Available from Cloudflare for $16/month. A2 Hosting only provides instructions to create your own backup to your own backup server. 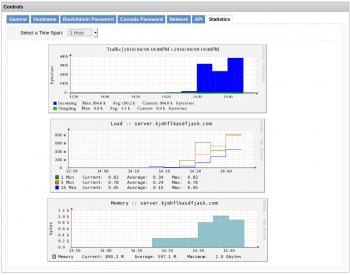 Network traffic, Load and Memory usage. Theoretically possible from Solus but "Reverse DNS is disabled for this ipaddress. Please contact support"
It's possible to choose number of core, memory, disk space when buying the VPS. Management UI split between builtin A2 Hosting and Solus. SSH port set 7822 by default breaking installation scripts. Apache2 setup by default preventing nginx from serving web requests. Missing Ubuntu repositories key setup. 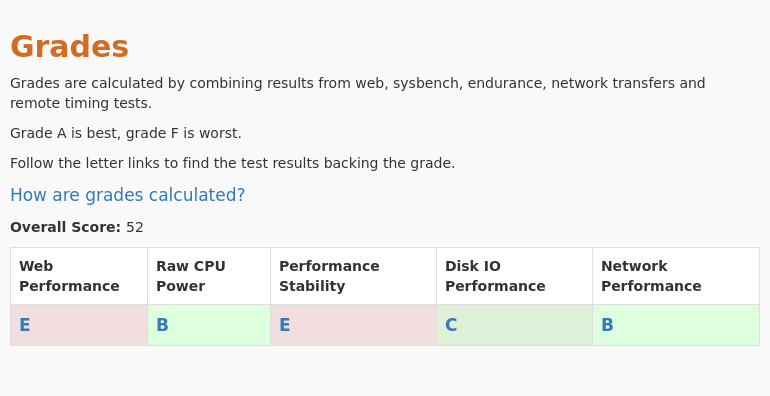 The Screener shows all A2 Hosting plans side by side with their grades in 5 categories. 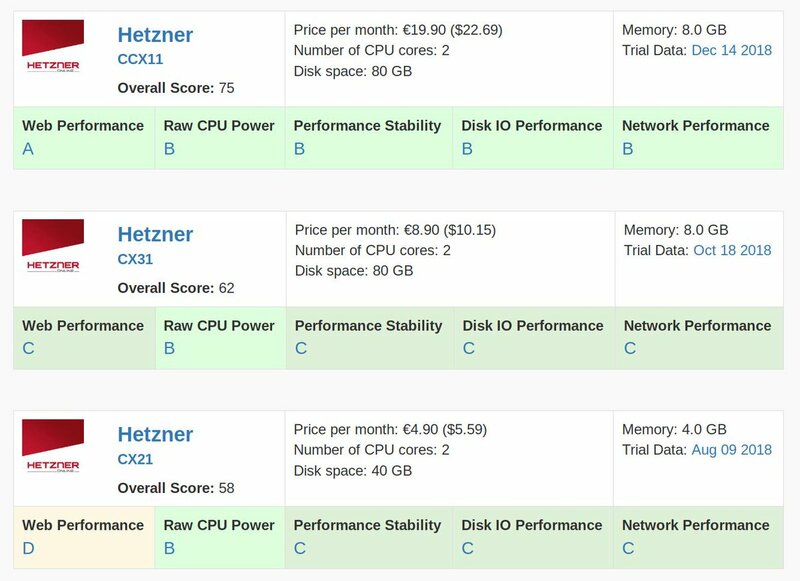 We conducted 5 different types of tests for A2 Hosting - MID 2 cores. Review the results and compare this plan to its competitors. This plan was tested 2 times at vpsbenchmarks.com. 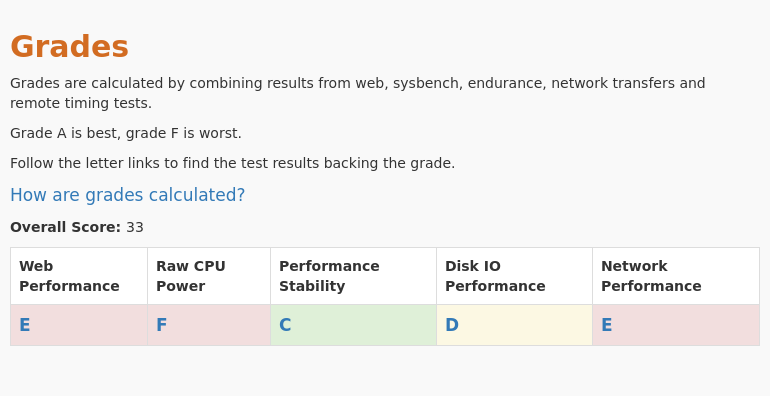 The table below shows all trials run on the MID 2 cores plan and the web response times for every one of those.